For a very long time there has been continuous debate between the supporters of Tropical Astrology and those who support the Sidereal system. Arguments to and fro have been about which method has the most or only validity. The rotational axis of the earth is tilted at 23 1/2 degrees to the plane of its orbit round the sun, the ecliptic, which means that the earth’s equator both terrestrial and celestial are inclined to the ecliptic by the same amount. The points of intersection between the equator and the ecliptic, called the equinoxes are fixed at 0 Aries and 0 Libra in the tropical Zodiac. However due to precession, these points have moved backwards by approximately 25 degrees against the backdrop of stars and are now located at about 5 Pisces and 5 Virgo respectively. The zodiacal positions of the planets as viewed from the earth have also moved back by the same amount and are often located in the previous sign. That this is a fact can be confirmed by any observation of the night sky, and supporters of the Sidereal approach claim that planetary interpretations should reflect these positions and not those of the Tropical Zodiac. The earth is not a perfect sphere but a spheroid, compressed at the poles and bulging out slightly at the equator rather like a squashed orange. The combined gravity of the sun and moon acting on that bulge tries to pull the equator back into the plane of the ecliptic, which in turn causes, a slow clockwise movement of the polar axis, a kind of wobble. This movement is known as precession, and the same phenomenon can be observed in a gyroscope or child’s spinning top which starts to wobble as it loses momentum. This is caused by increasing inertia in the case of the top but by gravitational pull in the case of the earth. One complete rotation of the earth’s spin axis takes approximately 25800 years which in turn causes the intersection points of the equator and ecliptic to move slowly backwards taking the same amount of time to complete one revolution. 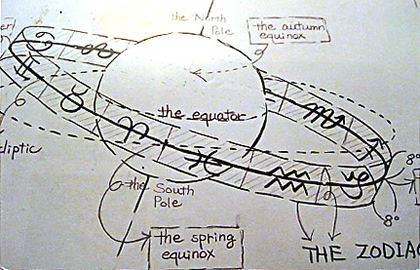 Another effect of precession is that as the earth’s spin axis describes its slow circular motion the angle that it makes to the plane of its orbit round the sun, also slowly changes which means that the equinoxes, the points in the earth’s annual orbit when the sun’s rays fall directly on the equator occur progressively sooner in the earth’s orbital path so that as viewed from the earth at that time the sun appears to have moved backwards against the zodiac stars. The position of sidereal astrology is, that because planets and house cusps are now all effectively 25 degrees behind their tropical positions then the horoscope should be interpreted as such. However, tropical astrology is known to work and remains the most popular method of chart interpretation in the west so how can this be when it is obvious that the planets are not in their tropical signs but in the sidereal positions? The answer could be quite simple but it is necessary to refer back to conclusions already discussed. The mechanics of what is happening are that the earth’s plane of orbit around the sun, the ecliptic, remains fixed and it is only the oscillating motion of the equatorial plane that causes the apparent backward movement. As far as the sun is concerned, nothing has changed, the backdrop of the zodiac stars remains the same and since as I believe planetary influence comes to us by stages of magnetic induction from the sun’s own field then it follows that it is the zodiac as viewed from the sun and not the earth that is operating in tropical astrology. 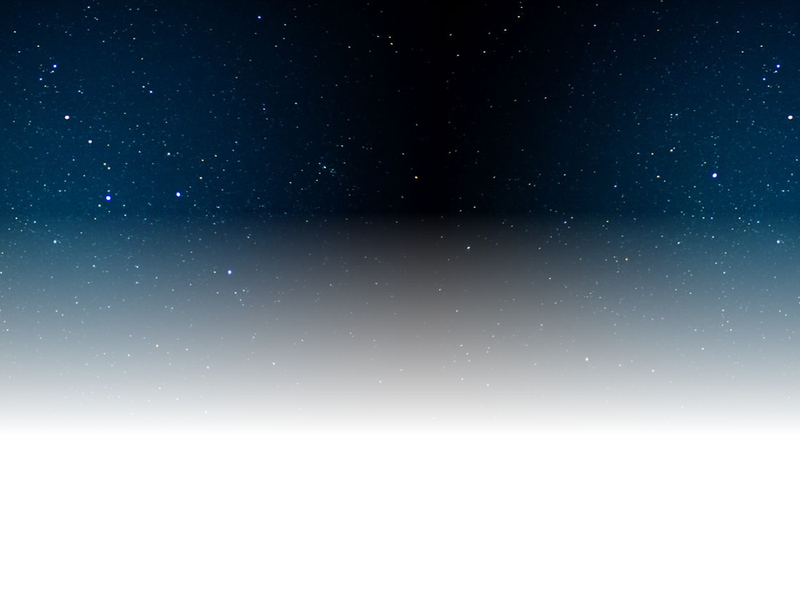 Copyright © 2011 ASTROLOGY Your bridge to the stars All Rights Reserved.